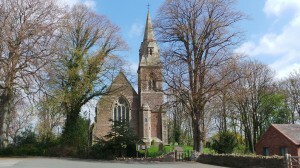 Our Church is one of the northern most parishes within the Diocese of Hereford, is close to the Welsh Border and has served the parish since 1861. The Rector, Churchwardens and members of the Parish of Yockleton welcome visitors to the Church of the Holy Trinity which remains open during the day from approximately 10.00am until 4.00pm. We trust that you will, on your visit, in a few moments of quiet, remember those who, across the centuries, have kept the Church alive, and pray for those who give their time, energy and support to the Church today. Find a map of Yockleton Church here.